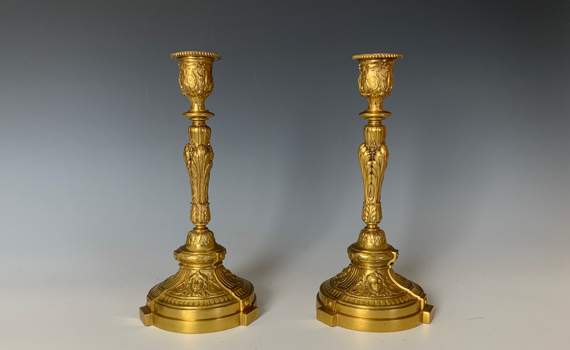 A pair of Napoleon III gilt bronze candlesticks. The drip pans cast with beaded border above a single sconce with acanthus decorated stem standing on a flared base cast with female masks to the three panels, and a stepped plinth to finish. Both with impressed numbers ‘1859’ & ‘1860’.